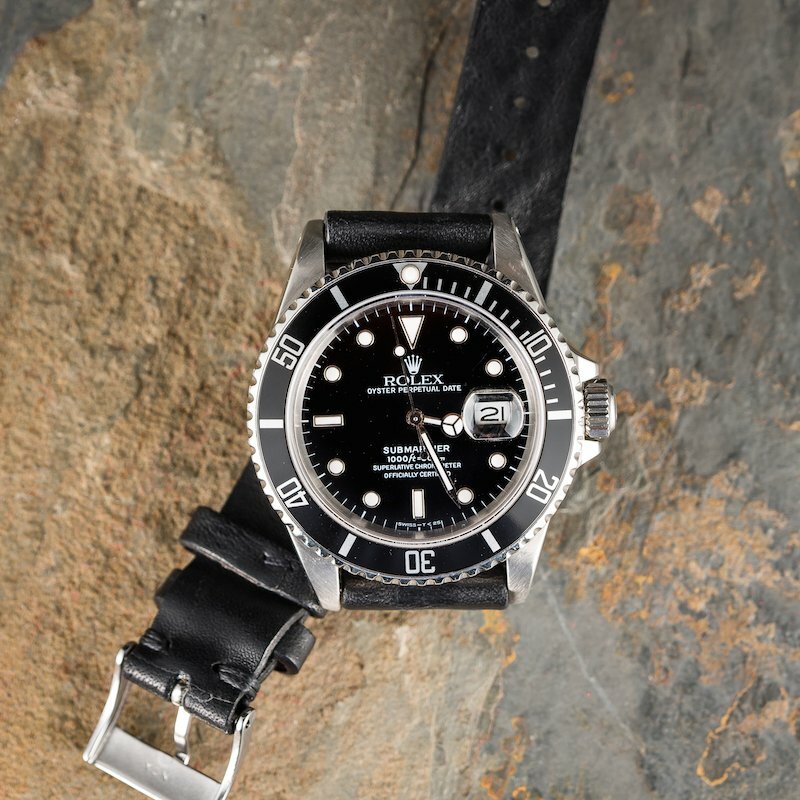 In recent times, Rolex’s most successful line of watches is the Rolex Submariner. First introduced in 1954, the Submariner quickly gained popularity for its robust construction, timeless design, and superior water resistance. While vintage Submariners get much of the attention these days, and certain rare variants have attained legendary levels of value and collectability; there are plenty of other past Submariner references that excel in cost/ease of ownership and the ability to withstand the wear and tear of daily use. One particular Submariner reference that makes a particularly good everyday watch is the reference 16610. Although it lacks the virtually scratch-proof Cerachrom (ceramic) bezel insert, the reference 16610 Submariner is powered by Rolex’s caliber 3135 movement, which is that same movement that Rolex uses inside their date-displaying Submariner watches today. The Rolex Submariner 16610 does not have a ceramic bezel, making it a little less scratch-resistant. First released in 1987 as a replacement for the reference 168000, the reference 16610 remained in production for over two decades, until it was finally discontinued in 2010. To many, the reference 16610 represents the final incarnation of Rolex’s stainless steel Submariner with an aluminum bezel insert. Craft from highly corrosion-resistant 904L stainless steel, and powered by Rolex’s caliber 3135 movement, the reference 16610 has a lot in common with its successor, the reference 116610 Submariner. However, the reference 16610 pre-dates the introduction of the new case design and ceramic bezel insert, which makes it an excellent option for those seeking a modern Submariner that still follows the old style of case design. Throughout its nearly quarter-century-long production run, the reference 16610 did undergo a few minor changes as Rolex continued to refine and update the design of their date-displaying dive watch. 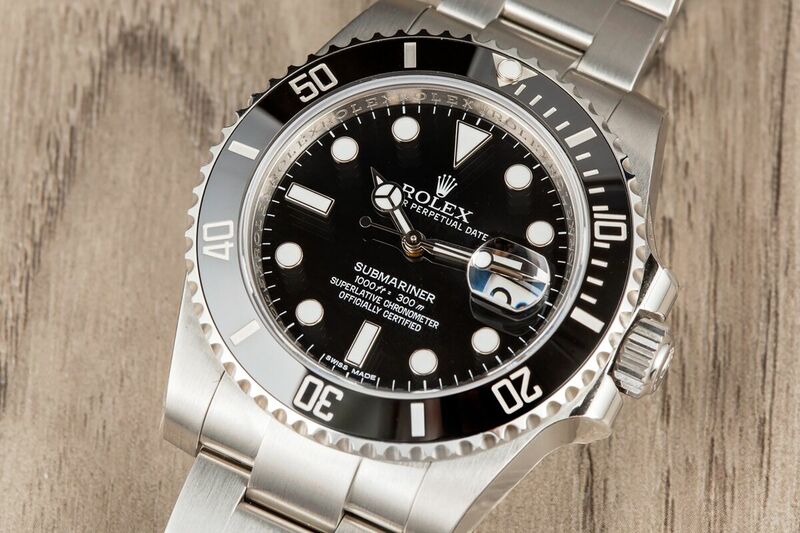 As the changes were minor, Rolex did not issue the watch a new reference number; however, these subtle updates do help serve as indicators of when a specific reference 16610 was manufactured. This is a Rolex Submariner ref. 116610LN, but it still has the inner-bezel engravings if you look carefully. Some of the changes to take place throughout the reference 16610’s production run are the switch from tritium to LumiNova, the elimination of drilled lugs, and the appearance of the serial number and “Rolex” engraving on the inner bezel. 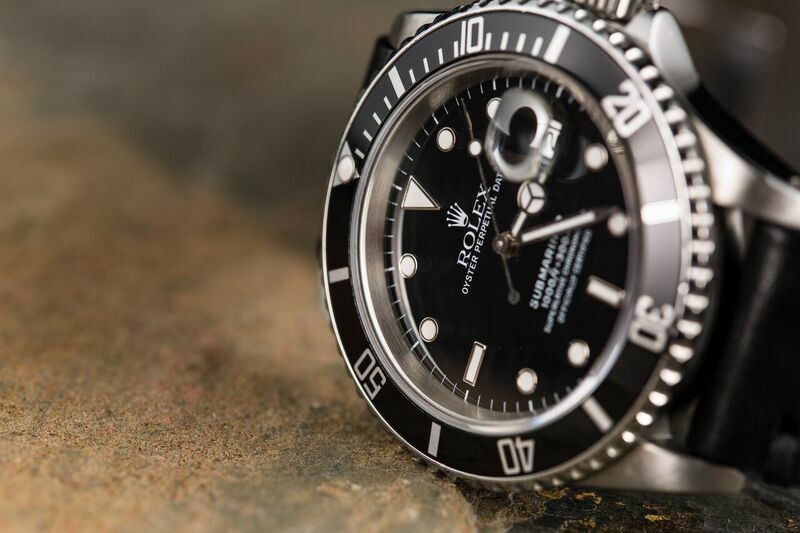 As all these updates were minor, they did not warrant a revised reference number; however, they still give prospective buyers some slight variations and minor options to select between when purchasing one of these Submariners in the pre-owned market. To many, the reference 16610 Submariner is the first watch that comes to mind when they think of Rolex’s legendary dive-oriented sports watch. Although it is not as rare or unique as some of Rolex’s vintage Submariners, the reference 16610 makes a fantastic and highly practical watch for everyday use, as it contains many of Rolex’s latest and greatest advancements, and replacement parts are readily available.